Every client’s story is different. Each one is unique. We invest significant time to understand your very personal circumstances. We do this for all our clients, and setting your retirement income target is an essential part of this process. The income you receive in retirement will depend upon four factors: how much is contributed, how well your investments perform, when you retire, and how you take your income. 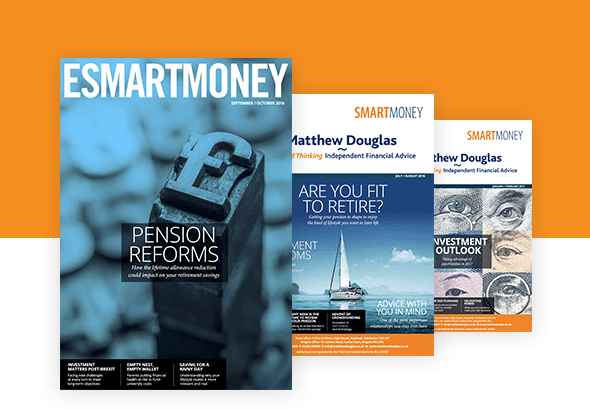 The good news is that if you are part of your workplace pension, the likelihood is your employer will be contributing to the pension for you, and one factor you can change is how much you contribute. Additional contributions to your pension account will improve your chance of a better retirement income. Making contributions to your employer’s pension plan is a tax-efficient way to save for your retirement. You can currently receive tax relief on contributions of up to 100% of your earnings in the United Kingdom. However, if the total contributions paid by you and your employer in a tax year exceed your annual allowance, you may have to pay a tax charge. The annual allowance (generally £40,000) is the maximum amount that can be contributed in total from all sources (for instance yourself, your employer) into all your pensions in a tax year. Contributions above the annual allowance are taxed as income, unless you are able to carry forward unused annual allowance from any of the last three tax years. The annual allowance does not apply to any pension transfers. Tax relief can be applied in different ways, as follows. Your employer deducts your contributions from your pay before it is taxed, therefore you only pay tax on your earnings after your pension contribution has been deducted. This means you receive full tax relief at the highest marginal rate of Income Tax that you pay, unless you do not pay Income Tax in the United Kingdom – for example, if your earnings are below the current personal allowance. Marginal rate means that tax relief is at the rate of Income Tax you would have paid if you had received income rather than make a pension contribution, therefore your contribution could receive tax relief at different rates depending upon your level of income. You may have the option to participate in a salary sacrifice arrangement (sometimes called ‘salary exchange’) whereby contributions are paid by your employer on your behalf. You agree to sacrifice part of your salary, and your employer agrees to pay an equivalent amount into your pension account as an employer contribution. Salary sacrifice also reduces your National Insurance payments (if you pay them), and therefore increases your take-home pay compared to other methods of making contributions. This means you receive full tax relief at the highest marginal rate of Income Tax that you pay unless you do not pay income tax in the United Kingdom – for example, if your earnings are below the current personal allowance. Your employer deducts your contribution from your pay after it is taxed. Your pension scheme will then automatically add basic rate tax relief to your pension account when it receives your contribution. If you pay the higher or additional rate of Income Tax, you will need to contact HM Revenue & Customs to claim the additional tax relief. If your earnings are below the personal allowance, or you do not pay Income Tax in the United Kingdom, you will not benefit from the tax relief a taxpayer would normally receive. However, this does not affect the amount that is paid into your pension, and you will continue to benefit from the money that your employer pays in. Your pension scheme will automatically add basic rate tax relief to your pension account, irrespective of whether you pay Income Tax or not. If you pay tax at the higher rates and your employer uses relief at source, your pension scheme will automatically add basic rate tax relief to your pension account. If you pay a higher rate of tax on some of your earnings, you may be entitled to further tax relief.